Last week, Michael Jordan made the news by calling 28 of the 30 NBA teams ‘garbage’. Leading the 90’s Chicago Bulls, Michael Jordan was the heart and soul of the NBA’s greatest superteam. Yet, he doesn’t like the so called superteams and thinks that they hurt the competition on and off the court. 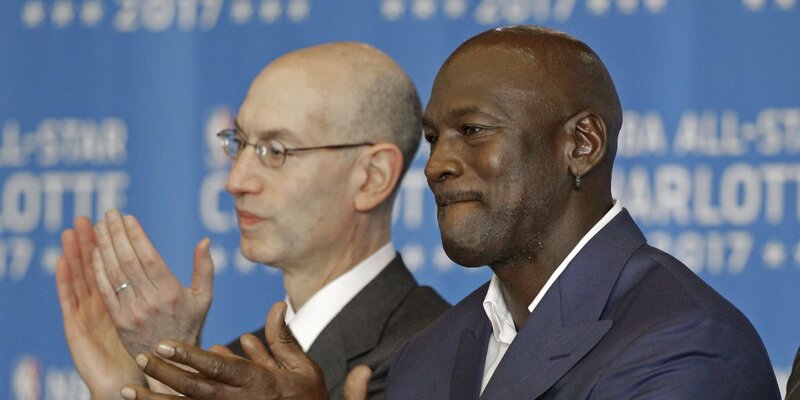 Now NBA commissioner Adam Silver was asked about Jordan’s comments on ESPN’s “Mike and Mike”. Silver said it made him chuckle, and that he takes Jordan’s comments with a grain of salt. “I chuckled a little bit because this notion that maybe the most competitive athlete in the history all of sports is frustrated a little bit that his team isn’t predicted to win the championship this year. So I take it with a bit of a grain of salt.